Acura Pickering | Blog | Acura Pickering Reviews the 2017 ILX Premium! Acura Pickering Reviews the 2017 ILX Premium! The 2017 Acura ILX Premium lives up to its name with premium comforts and luxury looks both inside and out. It sports a 2.4L 16-Valve DOHC engine with 4 cylinders capable of generating 201 hp at 6800 rpm and torque of 180 lb. ft. at 3600 rpm. Featuring a direct injection system, the 2017 ILX Premium runs on premium unleaded fuel. ILX Premium has an 8-speed dual clutch transmission and hill start assist. The compact sports sedan offers 9.4 L/100km on city roads, 6.8 L/100km on highways and 8.2 L/100km on combined routes. The front wheel drive has anti-lock braking on all four wheels, the front seat belts have an automatic tensioning system, there is both brake assist and electronic brake force distribution included. There are childproof door locks, collision mitigation system, multiple front airbags with dual-stage deployment, side airbags for driver and front passenger, curtain airbags, forward collision warning system, immobilizer, lane departure warning system, lane assist, road departure mitigation system, tire pressure monitoring system with pressure indicators and location, vehicle stability assist and traction control. 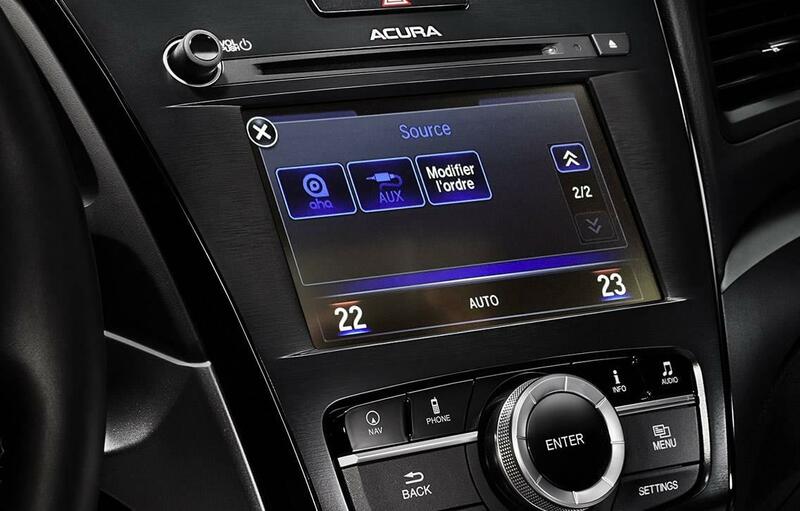 The 2017 Acura ILX Premium equips alloy wheels, amplitude reactive dampers, stabilizer bars in the front and rear, MacPherson strut suspension in the front and a multi-link suspension in the rear, as well as motion adaptive powered steering, ventilated disc brakes on front wheels and solid disc brakes on the rear wheels. The fuel tank has a capacity of 50 litres, passenger volume is 2530 litres and cargo space is 350 litres. View our inventory. 2017 Acura ILX Premium comes with floor mats, foldable rear seats, a foldable centre armrest in the rear seat and a leather-upholstered steering wheel. The door handles are body coloured, so are the powered and heated side mirrors. There are Jewel Eye LED headlights, a powered moonroof with one-touch open/close function and tilt, active noise control, adaptive cruise control, adequate cabin lighting, illuminated vanity mirrors for driver and co-passenger, dual zone climate control with air filtration. Among the features of convenience and to enhance the driving experience, the standouts are HandsFreeLink Bluetooth with steering wheel mounted controls, one touch directional signals, maintenance minder, map lights, rearview camera with multiple angles, multi-information display, remote engine starter and pushbutton start, powered windows and smart entry. The 2017 ILX Premium has an 8 inch VGA display with LED backlit, the driver’s seat is power-adjustable to eight positions and the memory supports two drivers, the front passenger seat is power adjustable to four ways, there is a blind spot information system, cross traffic monitor, the leather-trimmed seats are heated and there is a premium sound system with seven speakers including the subwoofer, compatible with SiriusXM. 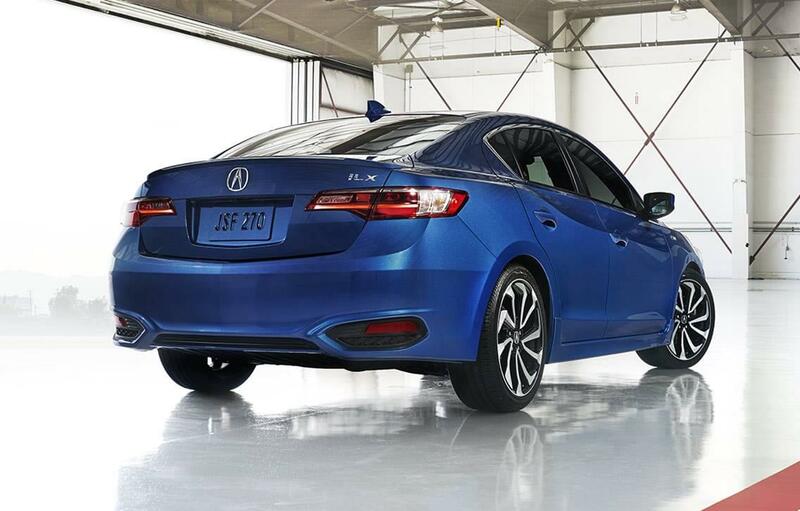 For luxury sports sedan enthusiasts, the ILX Premium is one sweet ride! If you’re in the Ajax, Pickering or Toronto area, we invite you to book a test drive at Acura Pickering today! View the 2017 ILX Premium on Acura Canada.